Alfred V. Rascon, MOH talks to Student Mst. Andrew Tran. 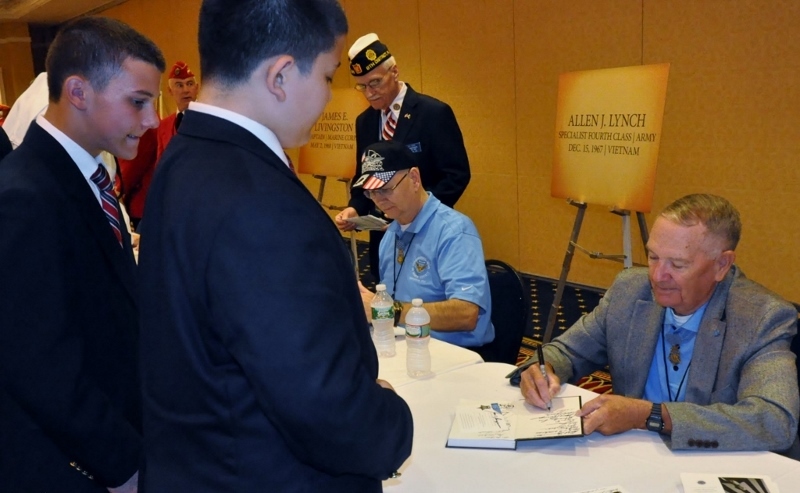 This year’s Medal of Honor Society Congress was held in Gettysburg, Pa., and on Thursday, September 19, St. Louis de Montfort Academy had a chance to meet some of the Medal of Honor recipients. It was a very memorable experience. Academy students were the first to eagerly pour in the ballroom of the Wyndham Hotel. The American heroes patiently greeted and talked to a large number of students who had the opportunity to ask questions about war, firearms, and their life-changing decisions. The honored soldiers’ stories of valor were ones like few had ever heard before. They heroically saved comrades by jumping on grenades or by vanquishing the enemy in dangerous trenches; each of their feats is inspiring. 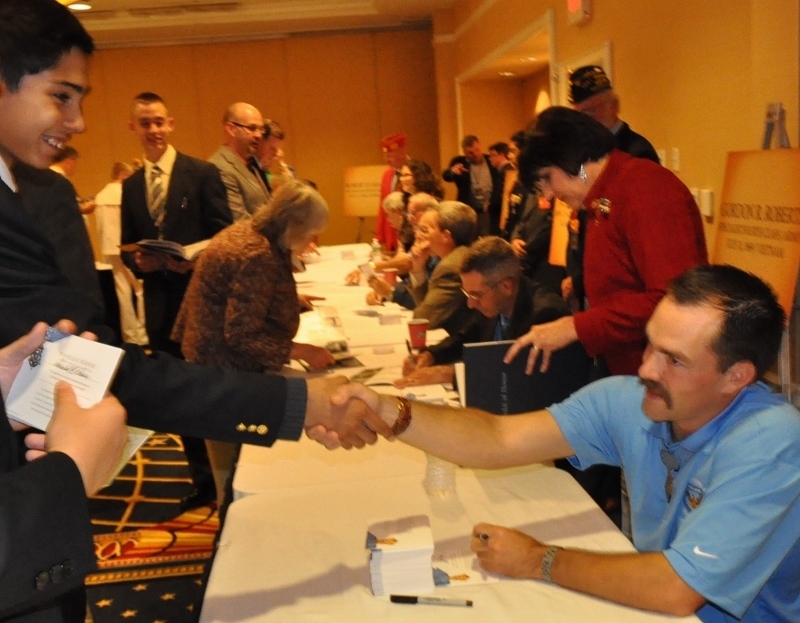 Learning their sacrifices and acts of bravery on the battlefield made Academy students proud to shake their hands. 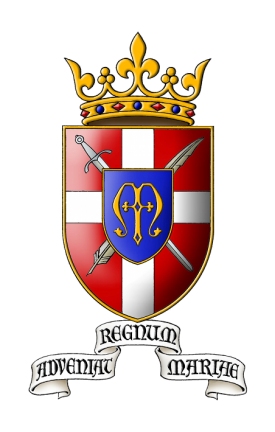 Each recipient gave a memento of a signed card bearing their story or autographed a book, such as An American Knight by Norman Fulkerson which students had purchased just for the occasion. The outing made the young men appreciate those to whom America is most indebted for their outstanding acts of courage and faith.